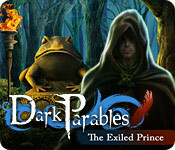 Dark Parables: The Exiled Prince is rated 4.2 out of 5 by 157. Rated 5 out of 5 by JulzCat from A Frog Can Kiss More Than One Princess! This is a Blue Tea beauty from 2011, but I still pull it out and play it now and again because it's one of my favorites. Set in Germany, it's the tale of the immortal frog prince and how he keeps starting his life over and over again with new princesses (I'll let which one's be a surprise), only to lose them to old age. I was enchanted by the shrines he created for each one of his lovely brides. Now our fairy tale detective must help stop the curse! This game is 7 years old, so it doesn't have the fancier bells and whistles of the new games, like customization or teleportation maps. 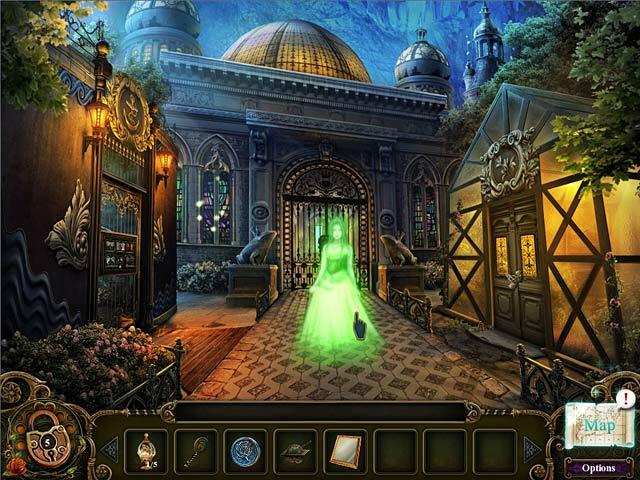 You will have hints but they only help you with the numerous fragmented hidden object scenes. A couple of times I did need help finding something (like the oar) but was able to look it up on the Big Fish Forum. Once completed, you will be able to play again in "hard mode" (no hints or skips), which will unlock a couple of doors you missed the first time around. Rated 5 out of 5 by lydecker from Elegant and sophisticated I purchased this game in 2012, which, I guess, makes it an "old game," but a great one. I call several of these older games elegant (Shaolin Mystery: Jade Dragon Staff; Return to Ravenhurt; Dire Grove, to name a few) because the graphics are beautifully detailed, and the music is gorgeous. It's an easy paced casual game with great puzzles that are doable unique, and fun. Relaxing, with a theme that plays on the fairy tale "The Frog Prince." With it's mysterious atmosphere and haunting score, this is a very enjoyable game. Rated 5 out of 5 by Galski93 from Can Get Enough of these Seriously, I'm extremely finicky about just about everything and gaming is no exception. Creative fairytale storyline with puzzles what is not to love? Rated 5 out of 5 by Boomer1097 from Engaging Game I really enjoyed playing this game! It involves several fairy tale characters and you play as the detective looking for the Chancellor's daughter and her bodyguard. This is the firs Dark Parables game I've played and will certainly be playing the others. The graphics are excellent. The voice overs and ambient sound is good. I muted the background music, which annoys me in every game. The FROGs were fun to play and some of the objects were hard to find. The mini games were fun, but relatively easy (which was fine with me). I really enjoyed the story line and the multiple locations to visit during. There is a lot of back and forth to various locations. There is a map to-do list. The map is not interactive, but you will need it at various points during the game. The map can be a bit confusing, but once you understand how it is laid out, it is highly usable. I recommend this game and look forward to playing the other DP games. Rated 5 out of 5 by ur8up from My First Dark Parable Game I have been a "fishy" since 2007 and have bought and played many many games from Big Fish. I have had 5 of the Dark Parable games downloaded but forgot to play them. I LOVED this game. Graphics are well done, storyline is perfect and music is relaxing. I am now playing Rise of the Snow Queen and then all the others. I hope that they keep making Dark Parable Games. I am saving Cinderella for last. Rated 5 out of 5 by hermitcave from Enjoyed the second in the series as much as I did the first one This one was loosely based on the frog prince fairytale where you as a detective must find out what happened to the Chancellor's daughter after she went for a stroll on the Exiled Prince Path in Black Forest. Of course you have to figure out the story and location of the exiled prince also. The hidden object screnes are all Fragmented Object Games (FROG - appropriate name for this particular game) where you collect items that are used in various ways -- usually keys, objects used as keys, or objects used in puzzles that usually unlock doors to open up new locations. The map is not interactive but shows where you are, sometimes where hidden object scenes to be done are, and usually where a completed collection of objects may be used. I found the story engaging and well written and the music was very easy to listen to while playing. The graphics were excellent being clear and easily viewed even in dark scenes. As with the first episode, there are a lot of places to visit many being just once for an iten needed later. There are some cursed objects to be found which apparently has something to do with the hint system. Another winner and highly recommended. Rated 5 out of 5 by blugreen from Still the best As far as I'm concerned, this was the best in the series and was the game that made me fall in love with hogs in the first place. Blue Tea makes their games so beautiful, inventive and fun! And I love the fairy tale theme with the princesses and the recurring frog prince. I esp. appreciate all the details that go into making this world so lovely. I hope they continue making such high-quality games forever. I am not into demons, mad houses, etc. I am sick of looking for syringes and clowns! So keep it up with this great series, Blue Tea!! I am a fan for life!! Rated 5 out of 5 by pennmom36 from Dark Parables: The Exiled Prince SE Legend goes that when a fog rolls in, The Frog Prince appears, searching for his beloved Princess, but no one who has laid eyes on him ever returns to tell the tale. You are a detective investigating the disappearance of the Chancellor's daughter after she went for a stroll on the Exiled Prince Path in Black Forest Germany. Could the legends be true? 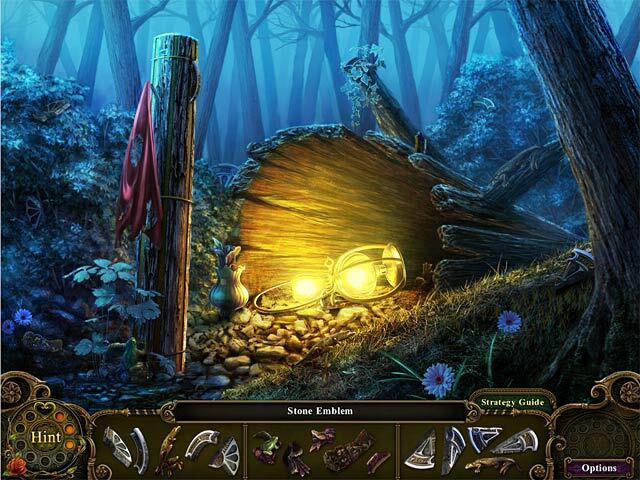 Dark Parables are one of my favorite series of Hidden Object games and the Exiled Prince tops the list in my book. This series is famous for their Fragmented Object scenes where you are tasked with finding fragmented pieces of three different sections of an item that when all sections are found the sections combine to form a single inventory item such as a gate key. Every scene is packed full of items to find as well as place. There are very interesting mini games such as adjusting the numbers on 3 different dice so that the adjoining pairs of dice add up to the correct number shown. I favor the Collectors Edition because there are 20 morphing objects, wallpapers, concept art, movies, a built in strategy guide and a bonus chapter. You cannot go wrong with any of the Dark Parables games which has a unique way of taking a fairy tale and giving it a bit of a twist, enjoy! Rated 5 out of 5 by Maebird from Frogs...Oh My When I was a little girl, I developed a fear of frogs that has lasted to this day. But, when I came across this game, my fear fly out the window. What a lovely, sad story! The prince who is probably about 500 years old is looking for his true love. He has gone through all of the fairy tale princesses and now have reached out into the real world for women to be his queen. Enter the detective assigned to the case of finding a young woman who has gone missing in the deep dark woods. The graphics are amazingly beautiful. The HOS and puzzles are challenging but nothing insurmountable. I've played this game several times already and am about to start another round. If you are a fan of Dark Parables games and have not played this game yet, please do. It's a must have! I know you will like it. Rated 5 out of 5 by crisgori from Charming series Dark Parables is my favorite series : beautiful graphics, well done HOS, interesting puzzles, morphing objects, length and a good amount of backtracking. The only complaint here are the sparkles for the HOS even in advanced mode and the lack of full screen on my laptop.